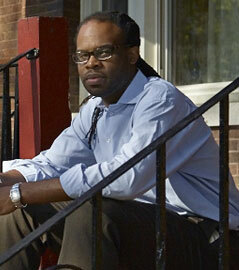 Dr. Toussaint Losier is an Assistant Professor in the W.E.B. Du Bois Department of Afro-American Studies at University of Massachusetts-Amherst. Dr. Losier holds a Ph.D. in History from the University of Chicago, with his research focusing on grassroots responses to the postwar emergence of mass incarceration in Chicago. At the UMass Amherst, he teaches courses on African American History, Black Politics, Criminal Justice policy, and transnational social movements. His writing has been published in Souls, Radical History Review, The Journal of Urban History, Against the Current, and Left Turn Magazine. He is co-author of Rethinking the American Prison Movement with Dan Berger and preparing a book manuscript titled, War for the City: Black Chicago and the Rise of the Carceral State.